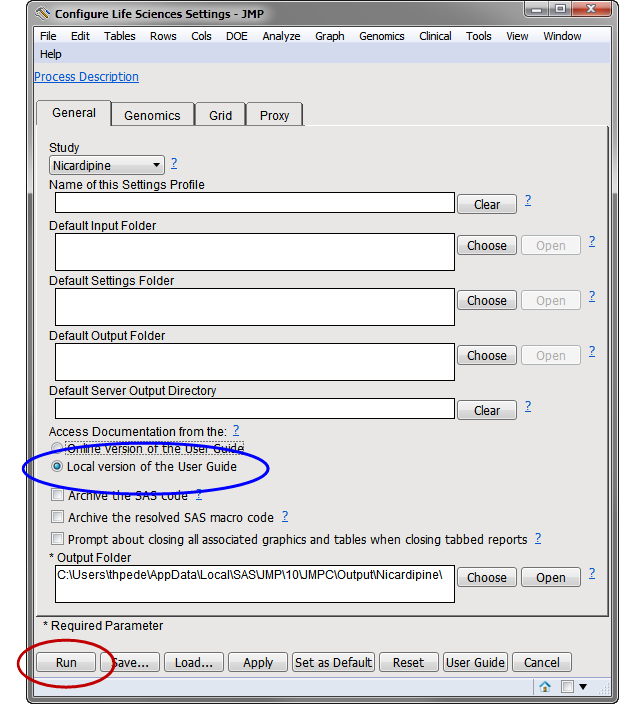 In a recent blog post, I listed all of the updates to the Help system for JMP Clinical 4.1 and JMP Genomics 6.1. The Documentation team has worked hard to put all of the information you need to do your analyses right at your fingertips. Just click on the Process Description or Output Description links or any question mark icon (?) on any of the dialogs or dashboards, and you will be taken to the specific information you need. By default, JMP Clinical and JMP Genomics access the Help system over the Internet. Having the Help online enables us to add or update content on a regular basis. When you access the Help, you can be sure you are getting the most up-to-date information available. But what if you can’t get to the online Help system? Maybe you are working on a secured network with no connection to the Internet. You might be on a transcontinental flight. Don’t worry. You can still get the Help you need. 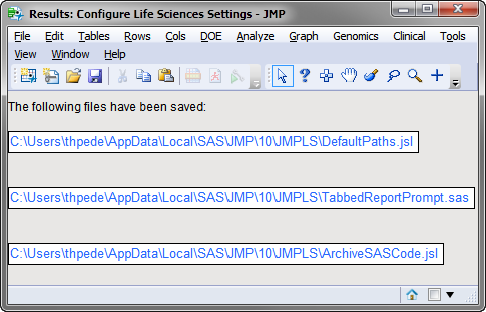 A localized copy of the JMP Life Science Help system is included with your software. All it takes to access this version is a few clicks of your mouse. Make sure your software is open and in focus. 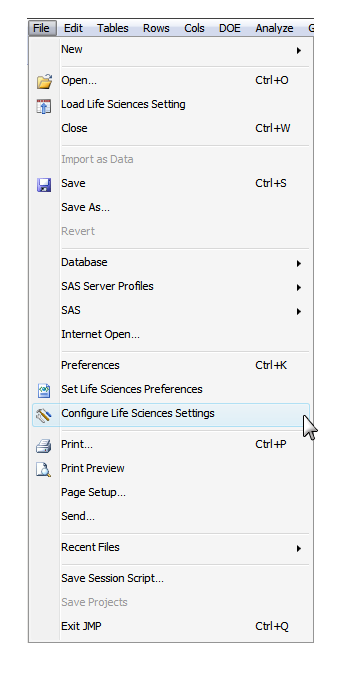 Click File > Configure Life Sciences Settings. Click the Local version of the User Guide radio button (circled in blue above). Click Run (circled in red above). When the process has run, a Results window will open, indicating the process is complete. To access the online Help system, run the process again, selecting the Online version of the User Guide radio button.